While several containers of dry food staples are shipped to Rwanda each year, it is important to note that sending food to Rwanda from the U.S. is not our preference, and is only one part of the three-part strategy we employ (described above). The reason we import food is three-fold. 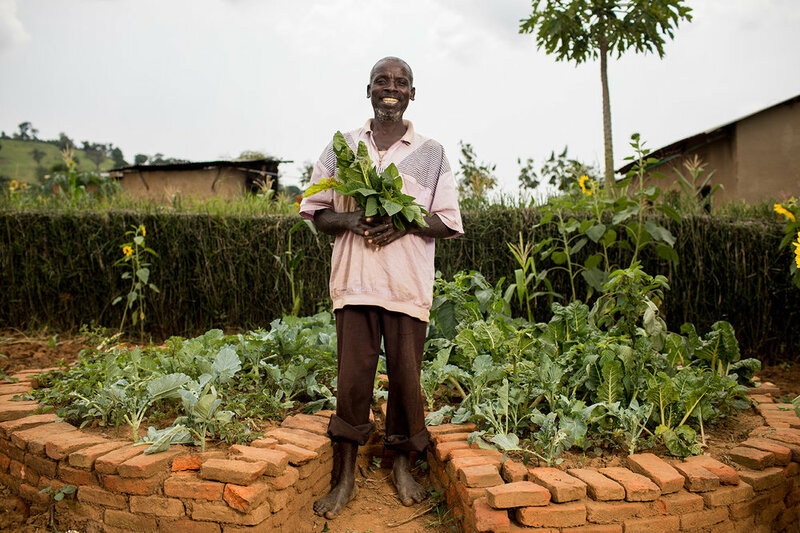 Though we would prefer to grow or purchase all of our food in Rwanda, we do not currently have either the financial resources or farming expertise to do so. Therefore, in order to supplement our primary focus of providing quality education through high school for 10,000 of Rwanda’s poorest students while grounding them in the gospel, and in order to serve school lunches for as many children as we possibly can, we currently choose to import approximately 1,000,000 of the 2.500,000 meals we annually provide. Paying for the transport of a donated 40-foot container holding approximately 240,000 meals from the U.S. is much cheaper than purchasing or growing that same amount of food in Rwanda. The subsidies our government provides for farmers in the U.S. allow farms to produce far more than can be consumed by U.S. citizens. Much of that excess is shipped and sold around the world, but with those subsidies farmers are also required to give a portion of their excess harvest away. That is where non-profit organizations like our partners Numana, Inc., Kids Around the World, and Children’s Hunger Fund come in. They serve as a clearing house for excess U.S. food and look for partners like Africa New Life to bless. Each of these organizations has shipped many containers of food to Africa New Life in Rwanda over many years. Along with providing food for our kids, the partner organizations named above provide a tangible opportunity for tens of thousands of volunteers in the U.S. to support our friends around the world. Most of these volunteers will never visit a developing nation, so their ability to fully grasp both the need and the complexity of the solutions involved will always be minimal. Still, we believe the opportunity to pack meals with their business team, church, friends, or family, while gaining a least a simple understanding of the challenges of hunger is valuable in their discipleship journey. Learn more about hosting food packing events at africanewlife.org/FoodforGood. One of Africa New Life’s seven organizational goals over the next five years is to thoroughly research how, through partnerships with local businesses, NGOs, the United Nations, and USAID, we might be able to feed far more students in Rwanda while better supporting the local economy and ending our import strategy. We welcome new ideas or models, research that could be helpful, or a student who might like to take this on as an internship project/final thesis. Please contact us at info@africanewlife.org if you would like to support us in any of these ways. One of the challenges of running a large organization is deciding where to focus, and in that prioritization, coming to peace with your own limitations. No one organization can do everything well, so you have to choose your lane and look for partners to help you with what you cannot do. We are comfortable with our current choices and with our goal of researching and implementing a better food plan for the future.